Hallucinogens and dissociative drugs—which have street names like acid, angel dust, and vitamin K—distort the way a user perceives time, motion, colors, sounds, and self. These drugs can disrupt a person’s ability to think and communicate rationally, or even to recognize reality, sometimes resulting in bizarre or dangerous behavior. Hallucinogens such as LSD, psilocybin, peyote, DMT, and ayahuasca cause emotions to swing wildly and real-world sensations to appear unreal, sometimes frightening. Dissociative drugs like PCP, ketamine, dextromethorphan, and Salvia divinorum may make a user feel out of control and disconnected from their body and environment. 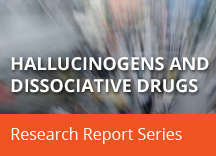 In addition to their short-term effects on perception and mood, hallucinogenic drugs are associated with psychotic-like episodes that can occur long after a person has taken the drug, and dissociative drugs can cause respiratory depression, heart rate abnormalities, and a withdrawal syndrome. 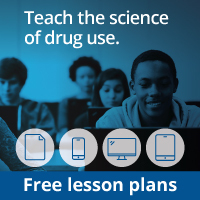 The good news is that use of hallucinogenic and dissociative drugs among U.S. high school students, in general, has remained relatively low in recent years. However, the introduction of new hallucinogenic and dissociative drugs is of particular concern. NIDA research is developing a clearer picture of the dangers of hallucinogenic and dissociative drugs. We have compiled the scientific information in this report to inform readers and hopefully prevent the use of these drugs.